NAMM 2019: Teenage Engineering has gone all ‘flat-pack’ with the new Pocket Operator Modular synthesizers. Three new models adorn the range with prices starting at $149, rising to $499 and each one comes as a kit that will require assembly. Continuing the ethos of low-cost instruments, the PO modular range was developed as a platform for people new to modular synthesis and enable them to explore and grow their own system. Teenage Engineering even encourages users to expand on the format by moving the modules to an open frame chassis, where they can start to add more modules and configurations of their own choosing. The smallest of the range is the 16, which, no doubt, gets its name from the 16 keys and it includes an individual tuning option. The 16 is just a controller and comes with a built-in programmable sequencer, powered by four AA batteries. The middle model is the 170, a monophonic analogue synthesizer with built-in keyboard, programmable sequencer, speaker box and battery pack. It comes with nine modules in total and eight patch cables. The 400 is the top-of-the-range modular synthesizer and includes a 16 step sequencer, three oscillators, filter, LFO and features 16 modules in total and comes with eight patch cables. Each unit is pre-configured chassis, made out of thin bendable aluminium sheet metal and Eurorack compatible: ±12 volt, with 3.5 mm patch points. All kits come with a 70-page full-colour build manual including examples of patches, while the single module option, we’re promised, will be introduced later this year. 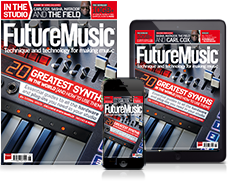 The synths are available now and you can find out more on the Teenage Engineering website.